Every year Friendsgiving is one of the most anticipated days of the year for me. 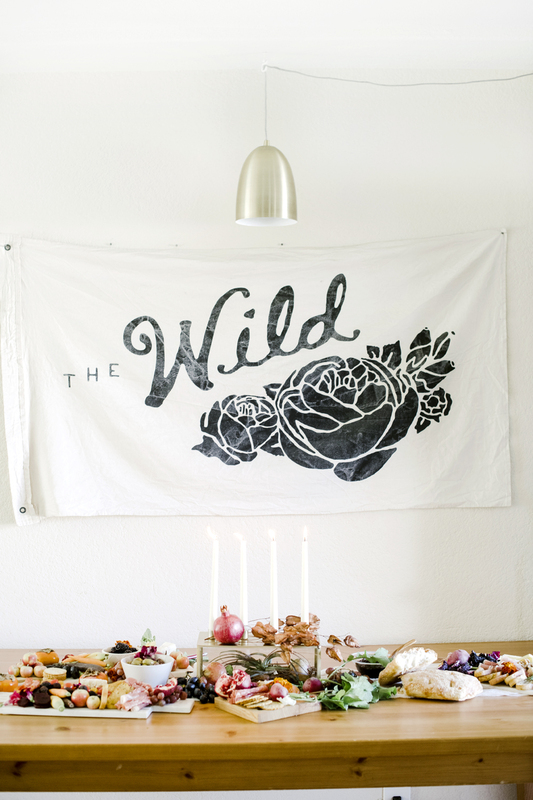 Not only do I have so much fun obsessing over the tablescape and decor, but the event itself is always so special. There's nothing like gathering some of your closest friends, getting a little dressed up, putting your phones down, and enjoying each others company around a table of good food. 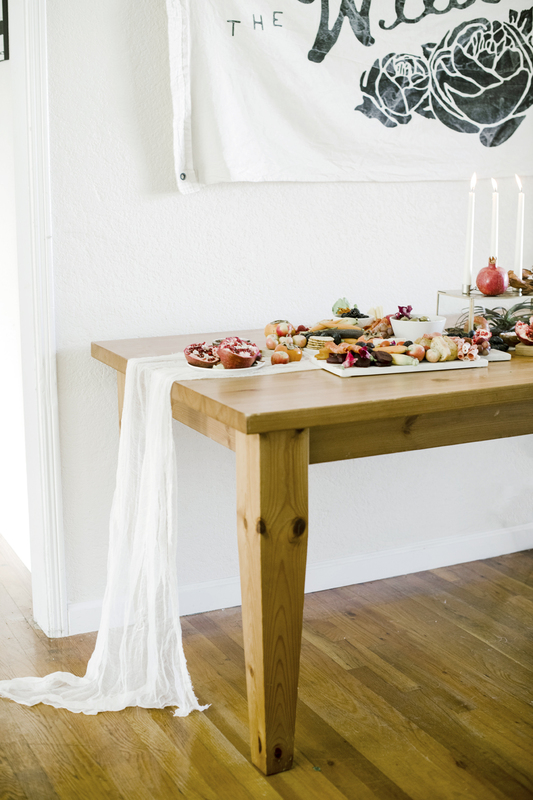 When our annual friendsgiving started 3 years ago, I asked Laurie Garza of Fleurie Flower Studio to make a pretty garland for the table, and ever since then I've gone to her to make the table pop with her gorgeous florals. This year she killed it yet again! She came over the morning of Friendsgiving and we played around with different arrangements throughout my living room & dining room! My mom came over too and gave my plants a little love and helped assemble the charcuterie board. This is definitely not sponsored (I mean come on, this is my first blog post ever! ), but it's no secret that I am unashamedly obsessed with Target, and that infatuation shines very loud and clear on this years table. 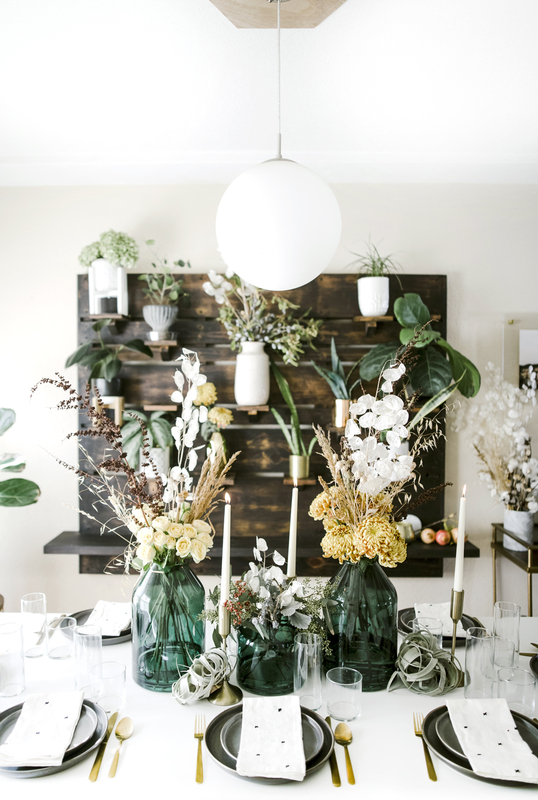 The gorgeous green vases and the napkins are part of the Hearth and Hand with Magnolia line at Target and the stoneware plates, minimalist glassware and gold flatware are from target as well. Everyone contributes a dish or two to friendsgiving, (I don't think it is humanly possible to cook a whole thanksgiving meal in our TINY kitchen) and this year Spenser and I made, mashed and sweet potatoes, a seville orange bourbon punch, and a charcuterie table! 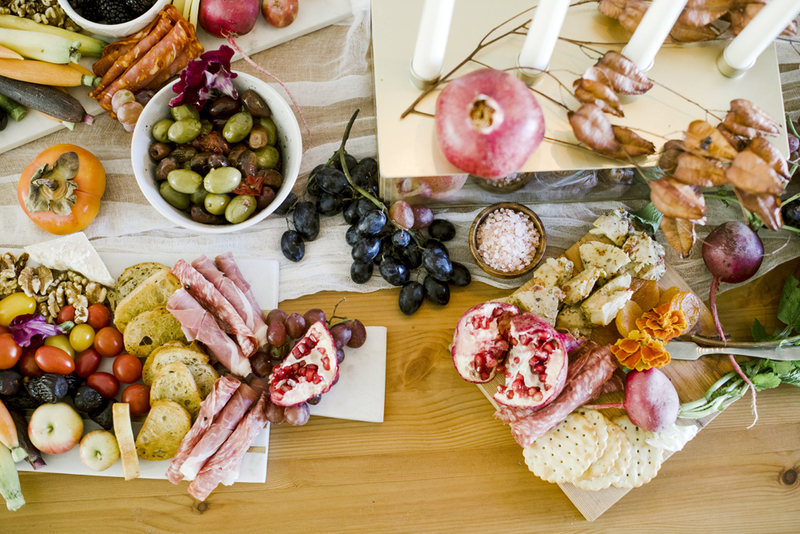 I went a little crazy with it, but the more the better when it comes to charcuterie right?! I'm sharing my charcuterie shopping list at the end of the post that you can print out and take to Trader Joes with you if you want to create your own!